As you have probably heard, a 7.8-magnitude earthquake struck the northern coast of Ecuador Saturday afternoon. The epicenter was more than 100 miles from Quito. Thankfully, we have talked to Dr. Roberto, our director in Ecuador, and he assures us that our project sites in Quito are safe. They felt the earthquake, but because tremors are not uncommon, they did not realize the severity of this earthquake until much later.He said there was some minor damage in the southern part of Quito, but nothing as devastating as we have seen in the news from the areas on the coast. We are still planning to take all of our medical and construction teams this summer, but we are asking them to be flexible, in case there are opportunities to serve in areas affected by the earthquake. Thank you for all of the emails, calls and prayers for our staff and project sites in Quito. We will continue to update you as we learn of specific ways we can help and as we receive news from our graduates that live closer to the devastated areas. Continue to pray for Ecuador and those who lost homes, friends and family in this disaster! We are excited to offer items from the Village Store for Christmas this year. We are starting to build our online storefront, so check back often as we add new items. 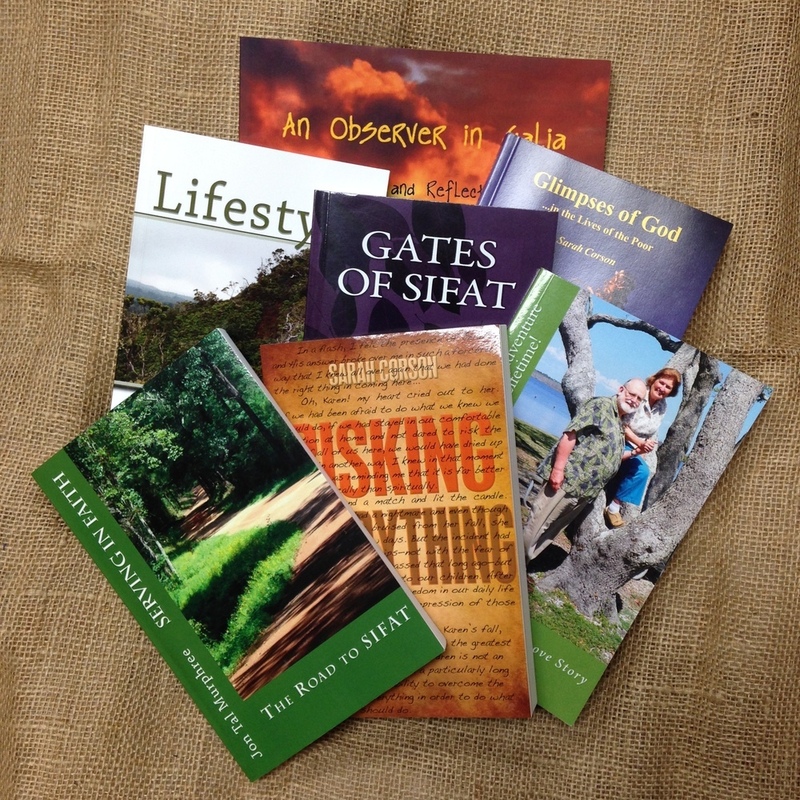 Currently, you can find books written by our co-founders Ken and Sarah Corson; merchandise to show your support of SIFAT – t-shirts, water bottles, stickers and sunglasses; wooden, tagua and masapan angels from Ecuador; and wooden plates and cutting boards from Bolivia. International Team Coordinator Peggy Walker and Promotions and Marketing Coordinator Marie Lanier buy merchandise for the SIFAT Village Store from store owners, micro-enterprise groups and artisan markets. Each piece in the store has been hand selected and the artisan paid a fair wage. Are you looking for online deals this holiday shopping season? If so, did you know many online retailers donate a percentage of each purchase to nonprofits, such as SIFAT? They do – and often have coupons, too! It gets easier with apps and coupons. From your favorite clothing merchants to office supply stores, you can help raise money for SIFAT! Choose one of the options below (free registration may be required) and designate SIFAT as your charity/nonprofit. Then, pick what store you want to visit from thousands of options. You will be redirected to the store’s website. Then, make your purchases and checkout from the merchant, as usual. Our staff uses these options when ordering office supplies and other materials we need. Earlier this month, we received checks for almost $150 because of individuals and our staff adding an extra click to their shopping experiences. Help us spread the word on how you can shop with purpose!